This is the long awaited (if youre an OG Lushie) Cinders shower gel. 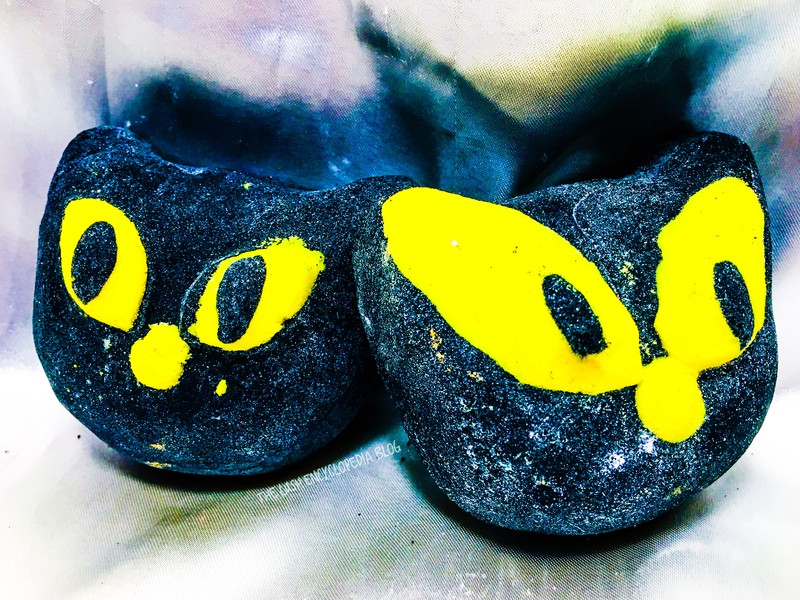 Many Lushies have been wsiting for a shower gel of Cinders since lush first introduced their Cinders bath bomb during holidays past. 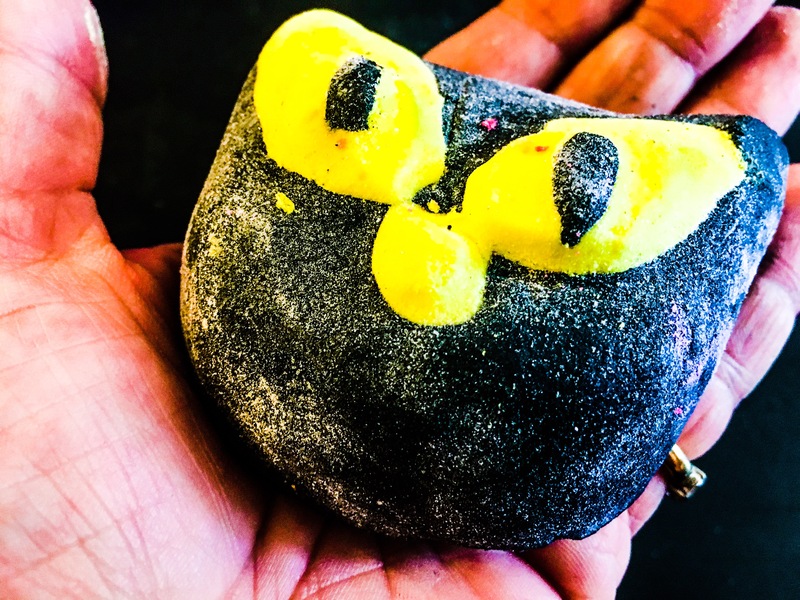 The Cinders bath bomb (and later – uk forum perfume that i bought on the forum) has a base of orange oil and cinnamon leaf. This shower gel however, adds some extra pumpkin pie spices that were not in the original. Alspice, nutmeg, clove, and pumpkin puree! So itslike a combination of orange and pumpkin pie. Quite different. Im surprised this isnt called a shower cream since it has extra moisturizing properties like almond oil and pumpkin seed oil. I like the orange color for Fall. And i like that Lush added the obligatory American spice mix. The consistency is a nice medium-thick. The scent doesnt partcularly last on the skin. I would drfinitely enjoy using the large bottle i have and the naked Cinders shower gel also, but i dont know that id care to buybanothrr bottle. Thsts why i rate Cinders shower gel a 4 out of 5 rating. Here is a 7 minute close up sink demo i recorded of Cinders shower gel. I live that it glows in the dark. This has an addictive effervescent scent of grapefruit and tangerine. It smells like fizzy soda. Moreso than Bubble or Celebrate imo. Ectoplasm isnt as sweet as those. It all started with the bath before mb of the same name. After lush introduced the bath bomb for the firdt time in 2017 it was a hit. And the bath oil TreeD was also a hit. We told Mark we loved the scent and hoped someday he would make a perfume out of it. The next year they introdiced this shower cream, a naked version, a solid perfume and a washcard. This has the same wonderfully citrussy scent as the Ectoplasm Bath bomb. The solid or naked version glows in the dark. I’ll review mine and demo both when i buy them at the creative showcase Sept 23. 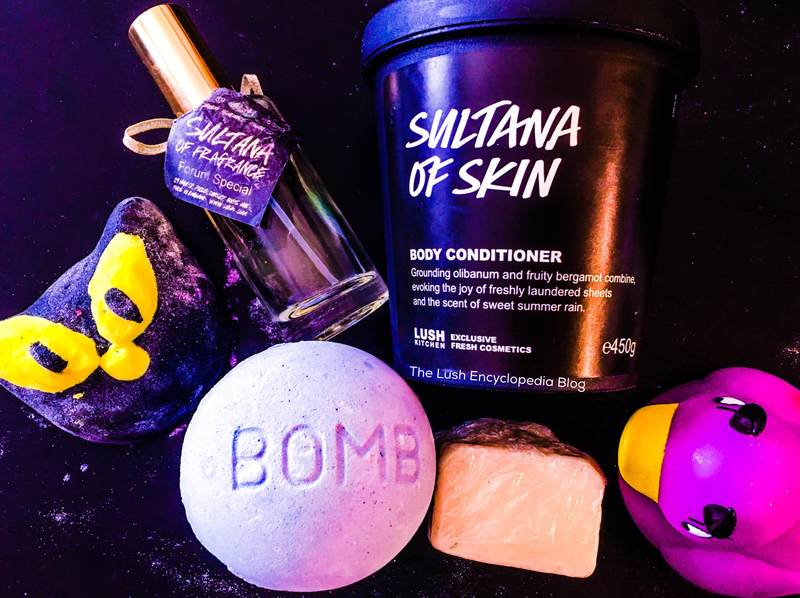 This was made with the Lush ‘blackberry bomb‘ scent. After a busy day whizzing around on a broomstick, ground yourself with olibanum and be spellbound by bergamot. Twitch your nose and breathe in this familiar blackberry scent. Whether in this life or one of the other eight, you’d be a fool to let this pass you by!